Experts continue to discover more about eggplant benefits, but this amazing fruit has been a part of traditional diets all over the world for thousands of years. Many people think of an eggplant as a glossy, dark purple vegetable, shaped like a large teardrop. However, eggplants, also known as aubergines, come in many varieties. The Toga variety is yellow-orange in color with green strips, while others are small, white, and egg-shaped. Eggplant isn’t the highest in the nutrition department like some superfoods, but it is unique. There’s a type of antioxidant present in eggplants that is somewhat rare, called nasunin. Nasunin is a kind of anthocyanin present in all types of eggplant varieties, as well as other deep hued vegetables and fruits. Nasunin is among the key contributors to the eggplant benefits. Like other antioxidants, nasunin has the ability to counter free radical damage which is a main cause of disease development. The power of antioxidants powerfully reduces oxidative stress, which is a factor that can aggravate and worsen the symptoms of Adrenal Fatigue Syndrome ( https://www.drlam.com/articles/adrenal_fatigue.asp ). Adrenal fatigue happens when the adrenal glands don’t get the right amount of support necessary to function properly. That is why antioxidants such as nasunin are vital for the healthy functioning of the body. Most of the nasunin in eggplant is present in the purple skin, so it is best to eat the whole vegetable, including the peelings, to reap the maximum eggplant benefits. Based on studies, nasunin has potent anti-inflammatory action as well as the ability to fight oxidative stress, serving as an O2 scavenger. It is also an iron chelator, which mean it helps iron become more absorbable. Further, it also binds molecules to harmful metal agents such as arsenic, mercury and lead, which are then excreted from the body. Nasunin has been found to protect cell membranes and DNA from damage due to its positive effect on the cell walls. An animal study has found that nasunin was able to protect the fat layer of the cell membrane, keeping the structure intact to prevent cell death or DNA mutation. It is believed that there are 13 types of phenolic acids with protective properties at significant levels in eggplant. Different varieties of eggplants have varying phytonutrient and antioxidant levels, but they all share the same ability to fight cancer. Aside from nasunin, eggplants also contain chlorogenic acid. 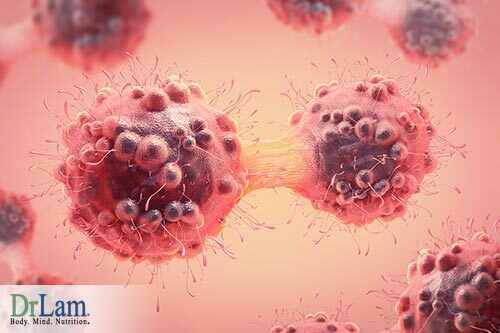 This phenolic acid is found in the plant’s cell walls and is known to be highly effective in preventing free radicals from becoming cancerous cells, which may lead to tumour growth. Apart from its anti-tumor effects, chlorogenic acid is thought to have anti-cholesterol, anti-microbial, and antiviral properties, which means it can protect the body from different forms of inflammation. Potatoes, tomatoes, and eggplants, which are all nightshades, were found to have antiproliferative mechanisms against liver cancer and human colon cells. Yet another study found that eggplant extract had an inhibitory effect against human fibrosarcoma cell invasion. A natural compound called delphinidin present in eggplant extract was found to be responsible for this inhibiting activity. Aside from being an effective free radical scavenger, nasunin is also believed to provide protection from lipid peroxidation, a mechanism that has been associated with atherosclerosis and other diseases. 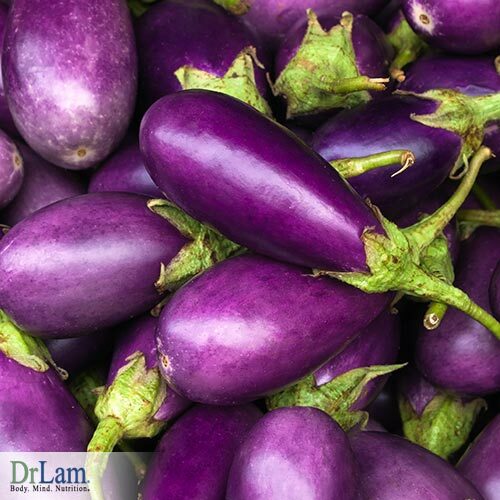 An animal study found that subjects given eggplant juice significantly reduced their LDL (low density lipoprotein) levels. This finding suggests that eggplant benefits are due to its anti-cholesterol effect, not only from nasunin, but from other phytonutrients such as terpenes as well. Eggplant contains chlorogenic acid. One study revealed that this unique phenolic acid is linked with improved mood and cognitive processes. Eggplant has a high water content, exceeding 90 percent, which is why it is very low in calories. Eating vegetables with high water content, nutrients, and fiber helps remove toxins and waste from your gut. Your digestive tract must be well hydrated to eliminate properly through the intestines. Consuming lots of fresh plant foods, in addition to drinking adequate water, is important to allow the digestive system to flush out waste. Due to these well known nutritional eggplant benefits, it is included in the GAPS (Gut and Psychology Syndrome) diet, a special diet beneficial for correcting digestive issues, reducing inflammation, managing neurological issues, and aiding autoimmune conditions. One cup of eggplant offers about 5 percent of your daily needs of manganese, an essential mineral that naturally occurs in the body in trace amounts. Manganese serves as an antioxidant, fighting free radicals to prevent them from causing oxidative stress and bodily harm. It is an important mineral for healthy bone formation because of its role in bone mineralization. It is necessary to properly metabolize and utilize calcium and creates important enzymes to form stronger bones. 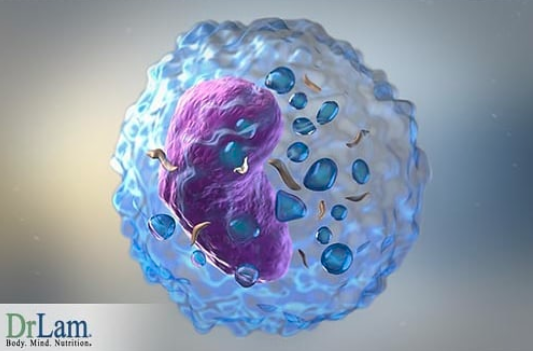 In addition, manganese helps the body’s metabolic activity, connective tissue formation, and the regulation of hormones, which are vital for reproductive health. It is also crucial in fighting depression, regulating optimal thyroid gland function, and helps control blood sugar. Being deficient in iron can pose serious harm to your health. Deficiency in iron may lead to anemia. 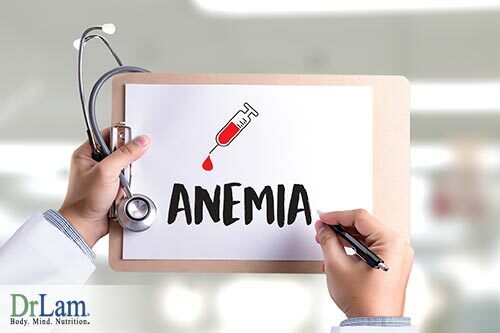 Symptoms of iron-deficiency anemia include fatigue, headaches and migraine, weakness, cognitive malfunction, and depression. Hence, eating foods rich in iron can help combat anemia. Eggplant is a meaty fruit that contains a decent amount of iron. It is also rich in copper, a crucial component of red blood cells. Without iron and copper, your hemoglobin count might decrease because they are constantly being used up. There are several mechanisms through which eggplant benefits your heart. 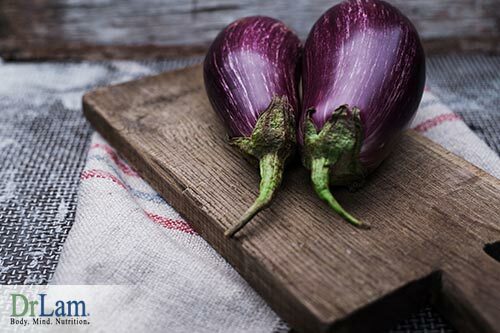 As mentioned, eggplant contains phytonutrients known to reduce LDL (bad cholesterol) in the body, while stimulating the uptake of high-density lipoprotein (good cholesterol). While the balance of good and bad cholesterol is constantly fluctuating based on your diet, having more HDL is better. Lowering bad cholesterol can prevent heart attacks, atherosclerosis, and even strokes. In addition, the flavonoids in eggplant may reduce blood pressure, reducing the stress and strain on the heart. Due to the water and fiber content that eggplant has, it can be used as an effective food to achieve weight loss. Eggplant offers a wide array of essential vitamins, minerals, and phytonutrients yet is low in calories, making it an excellent addition to a low-calorie diet. Its fiber content can also help you feel full quickly, so you’re less likely to overindulge. Eggplant also contains zero fat and cholesterol, another reason why it’s a very healthy food for those trying to maintain a healthy weight. A lab study has found that eggplant activated certain enzymes that can help detoxify and remove drugs and other toxic chemical substances from the body. Nasunin is not only potent against free radicals, but it also acts as a natural chelator. Chelators are important for neutralizing and transporting heavy metals, the top source of dangerous free radicals, out of your body. The liver is an important organ in the NEM Stress Response. Toxin overload can burden the liver, which aggravates AFS. This chelating action of eggplant makes it an excellent food for assisting the liver in detoxifying the body. While iron is an essential nutrient necessary for proper immune function, collagen synthesis, and transport of oxygen, too much iron (iron overload) is unhealthy. It may lead to increase in free radicals and is associated with risk of heart disease and cancer. Thus, it is important to keep this mineral in balance in your body. As part of the nightshade family, eggplants are known to cause allergic reactions, although not as often as bell pepper or tomatoes. Like with any other dietary change, it is a good idea to discuss your plans with your doctor before consuming large quantities of eggplant and watch out for any adverse reactions. Choose an eggplant that is not too large. Smaller eggplants contain fewer seeds, which are also edible and are less bitter. It should be firm, with a length similar to a cucumber and the circumference of a large pear.